Why Would A Psychiatrist Carry A Gun? 1. Contact with aggressive and violent patients who have severe mental illnesses: In another recent post - the most familiar scenario is the person with paranoia or a severe personality disorder and who uses the psychological defense of projection or projective identification. In the popular vernacular a person who tends to blame other people for their problems, even when there is no realistic connection. That can happen to psychiatrists because of the unique a aspects of the relationship and nature of treatment, but it can also happen to other physicians, therapists, and counselors. In many cases the blame is projected onto anyone who works for the organization or clinic and that puts everyone in danger - including the clerical staff. 2. A significant substance use disorder: The usual scenario is the severe psychiatric disorder, aggressive behavior and a substance use problem. Most intoxicants are disinhibiting and they have the potential for activation, increased paranoia, and increased psychosis with impaired judgment. They can also lead to aggressive or suicidal behavior that occurs during blackouts. That not only increases the likelihood of action on a threat but makes any contact with patients in this context very problematic. That includes crisis intervention centers, emergency departments, acute inpatient psychiatric facilities, and detox facilities. It is crucial that all of these settings have adequate staffing and crisis plans to contain both any aggression that occurs and ways to limit access to people with weapons or people who are out of control. In some cases patients with acute intoxication need to be rapidly sedated to prevent self injury or injury to staff. 3. A specific threat against self or family: Any threat needs to be taken seriously and this is also a training point. Every mental health professional needs to learn how to address this issue and the first step is to make sure that everyone in the workplace is aware of the threat. A threat assessment needs to be done and matched with the appropriate plan. Those plans could range from an immediate call to the police, emergency hospitalization, civil commitment, and interventions about how the clinic or hospital will interact with that person in the future. 4. Police involvement: This is not a debate about gun rights. Nobody tells you in medical school that homicidal patients are an occupational hazard. Nobody tells you that if somebody threatens to kill you - you may be on your own. When you hear about some of these scenarios on television and in the movies one of the themes typically is: "Well these are just threats. He/she hasn't actually done anything yet so we can't do anything." That was a very common attitude from law enforcement 20 years ago. 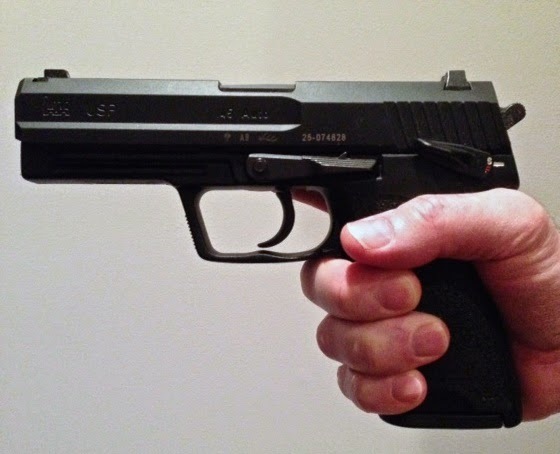 I can remember a police department actually sending me a fax that a patient who had been threatening me had purchased a .25 caliber handgun in a pawn shop. They left it at that point. The absence of action by the police can result in a significant escalation in threatening behavior by the person involved, up to and including threats with a firearm. Attitude problems can also exist at the court level. I have testified in hearing about threats where it was suggested that this was an occupational hazard for psychiatrists and therefore less relevant as evidence of criteria for commitment. Nursing staff are also subjected to these illogical attitudes. Assaults on nurses are commonly viewed as an occupational hazard and the administrative response is generally that the responsible patient is never prosecuted. In this era where civil commitment is often watered down to the point that it is completely ineffective, court ordered treatment from a criminal rather than a civil court may be the only available treatment. A lot of laws have changed in the past two decades and the police should be able to do a lot more at this point. In recent cases of telephone threats, even very indirect telephone threats, the police will often make a visit to the person making those statements and explain new laws about terroristic threats. Any mental health professional should not accept the idea that something beyond a threat needs to happen before law enforcement can get involved. The only action necessary is a threat. What the police actually do is frequently a determining factor in whether a firearm is acquired. 5. A secure treatment environment: There are many aspects to this dimension including access to the physical environment, staffing, and the security arrangements. Are there security cameras? Are they actually monitored by security staff. Is physical access to the environment limited to a few staff? Most inpatient psychiatric units are locked. I have been grateful many times that the locked door was more useful for keeping people out rather than preventing patients from leaving. 6. An awareness that psychiatrists and other staff are killed by aggressive patients: This happens frequently and it has been going on for a long time. It tends not to make the papers anymore. Here is an old New York Times article that was uncharacteristically blunt about the problem. It described a full spectrum of homicidal aggression toward psychiatrists back in 1983. That was the same year that I became an intern and I don't remember ever seeing this article. 7. A functional administration: Lack of an administrative support that prioritizes the treatment of violence and aggression and an associated systems approach to violence prevention is critical. The appearance that a single psychiatrist is in a confrontation with a potentially violent and aggressive perpetrator needs to be avoided at all costs. Staff splitting that encourages patients to act on aggressive wishes toward a staff member need to be avoided at all costs. This may sound like common sense function, but in my 30 years as a psychiatrist, I have never seen a situation like this handled appropriately by administrators. In fact, I have seen just the opposite when administrators dislike a staff person and suddenly there are rapid succession of administrative, staff, and patient problems focused on that person. It is very likely that the business oriented, "customer friendly" approach to patients that has been promoted by managed care has the potential for making these situations much worse. It is hard to imagine a worse situation than to find out that a potentially aggressive patient who has threatened you is now being taken seriously by various patient representatives, customer service representatives and ombudsman. Many of these patients realize that the state medical board is a gold mine in terms of being able to continue the harassment of the object of their aggression. Multiple complaints against multiple parties can be filed even when it means that egregious threats made by the patient are included in the medical documentation will be sent to the medical board. 8. Dynamic issues: There are a number of critical issues related to individual and group psychodynamics. I have heard the term "therapeutic grandiosity" used to describe a situation where a psychiatrist failed to anticipate a dangerous situation and ended up injured or killed. I think it is far more likely that the psychiatrist involved did not recognize different conscious states of the patient and the fact that one of those conscious states was capable of severe aggression. Many people seem to be confused about legal definitions or reduced capacity here. The law believes that a rational act that is internally consistent with a given psychotic state means that the person is responsible for their actions. Every psychiatrist knows that there are mood disordered and psychotic states that result in decisions that the person would never have made if they did not have a mental illness. One of those decisions is deciding whether or not to become aggressive toward their psychiatrist. Making that determination can depend on very subtle findings. If they are missed and there is an agreement to meet about an issue, especially if it is after hours the clinician may find that they are interacting with an unexpected person. The structure of a clinic schedule and a crisis plan for that clinic can provide a basic background for not making these mistakes. On an individual level, it is possible to view a patient's aggression as a personal failing on the part of the psychiatrist. Many psychiatrists who have been assaulted are full of doubt about what they missed and whether the care being provided was adequate. It is easy to lose sight of the fact that any physical aggression toward a physician is grossly inappropriate. In the cases I have been personally aware of most of the psychiatrists were spontaneously assaulted and were not even interacting with the aggressive patient at the time. In many cases the assaults occurred by patients who did not even know them. There are also interpersonal dynamics that are disquieting at times. Other staff speculating on the origins of the assault or threats, acting like the aggressive behavior can be interpreted. This often occurs with little knowledge of the patient and their unique characteristics. In some cases assaultive behavior is explained away on psychological grounds and the person who has been assaulted is unsupported and alienated from the rest of the staff. In my experience, this is a very dangerous position for the the staff to be in. In an incredible twist, the aggressor seems to have more support than the victim even when the victim has sustained obvious injuries. Although it has not been studied, it would not be surprising to find that staff in this position would conclude that they have no support, can expect no help, and need to arm themselves or risk annihilation. 9. Cultural hate of psychiatrists: There is no doubt that the haters of psychiatry have some influence here. It is always easier to perpetrate violence against any minority group that is routinely vilified in the media and seen as a stereotyped monolithic group. The people involved may have difficulty distinguishing symbolic hate and annihilation from the real thing. All of these factors come in to play in considering whether or not to arm oneself to ward off a potentially homicidal threat. From the psychiatrists I have talked with, next decision is the threshold for self defense. Do you carry a weapon or is the threshold your front door? Are security cameras and alarm systems enough? I knew a psychiatrist who carried a rifle with him when he was riding his lawn mower. The critical factor comes down to the threat assessment and all of the mitigating factors listed above. For anyone second guessing a psychiatrist in this position, the critical question becomes: "Where would I allow anyone to kill me?" Is that thought compelling enough to ignore competing ethical considerations, even though there is nothing in medical ethics about a patient trying to kill their physician? Is that thought compelling enough to ignore the law in order to protect yourself and your family? What is your threshold for making those kinds of decisions? For people interested in stopping this kind of aggression, the points above are all considerations of what can be done to stop it cold - long before there is any gunfire. At that level of analysis, psychiatrists thinking of carrying guns or walking around with them is really a sign as well as an outcome. It is a sign that multiple systems in society and medicine are either inconsistent, have failed or been corrupted. We have these systems in place in some places and they can work. I have seen every one of them work well at some point and prevent aggression and violence. Fixing that larger problem should benefit everyone including the involved patients. There aren't too many retirement parties that you can go to and spend a lot of time talking about violence. I suppose it might happen with law enforcement and the military. When I went in to psychiatry I never seriously thought about the fact that I might have to go to work every day and face people with serious problems with aggression and violence. In some cases that would mean seeing people who had threatened to kill me and my family. It would also mean seeing people with documented incidents of aggression toward others, toward themselves, and toward property. I went to a retirement party yesterday for a nurse I had worked with in an acute inpatient setting for about 20 years. Like most of the nursing staff I work with she has excellent skills but was also renown for her sense of humor and positive attitude. She was the kind of person I counted on when things were particularly grim - a frequent occurrence on inpatients units. I could only make it to the last 2 hours of the party, so I missed the evening shift who all had to leave and go to work. There were about 20 people there including a psychiatric colleague who worked with me on that unit and who I have known for 30 years. I always consider retirement parties to be very happy events. I have known too many medical professionals who never made it to retirement. I want everybody to make that goal, especially people I have been in the trenches with. I previously posted here many times about the inpatient environment and its importance is treating and containing aggression and how that function has been subverted by political and administrative forces and rationed to the point of being minimally effective. When you are working on an inpatient psych unit, it is a lot like going to war every day. You are facing many patients who don't want to be there despite significant problems. Many are involved in contested commitment hearings based on whether they have a suicide or aggression risk. Many have severe substance use problems that intensify suicidal thinking and aggression. They are generally not interested treatment for the substance use problems or do not see that as a significant issue. There are minimal resources to work with. The team social workers generally don't last too long because there are very few community resources that want to cooperate with discharge plans from acute care psychiatric units. Everyone is working under an administration that is focused on restricting resources and providing suboptimal care. Everybody at that party worked with me in that environment at one point or another for 23 years. At times it was like we were in foxholes under siege for weeks at a time, just looking for a break. It was good to see everyone in a much less stressful context, but like most groups of people who have been immersed in a high intensity work experience the conversation tends to gravitate back to the humorous and stressful events that we were all a part of. One of the common threads was aggression. I learned that one of the nurses had recently been assaulted and sustained broken nose and a traumatic brain injury. She discussed the incident and her reactions to it. My psychiatric colleague added her personal experiences with aggression directed toward her. As I looked around the room, I was aware of the fact that significant physical aggression had occurred toward about 25 % of the people there. In some cases there were episodes of repeated physical aggression. At some point in my career, I realized that there was really nobody who was interested in helping inpatient staff contain aggression. There are always administrators around who are ready to assign blame. I can remember one particularly unhelpful "consultation" that suggested that the problem was a lack of rapidly forced medications. The most recent administrative initiatives have to do with not forcing anything. Suddenly everyone was supposed to respond to quiet deescalation. Sitting in a quiet office somewhere and looking at spreadsheets does not lead to any insights into containing aggression on an inpatient unit. I guess the typical administrator does not realize that. My realization was that as a team we had to discuss the issues with patients constantly, emphasize the violence risk, emphasize that we did not want anyone to take chances in these situations, and discuss a detailed plan that included ways to approach the patient and their family as much as medication. About halfway through the party, one of the nurses handed me her iPhone with the the story about a psychiatrist who had shot a patient in a crisis clinic. It reminded me of the time I had to consider about whether or not to arm myself. I was after all a tree hugger and a Child of God from the 1970's. The last thing I wanted to do was have guns in my house. I was aware of psychiatrists who had been killed by patients, in several cases with firearms. I had just read an article about a psychiatrist who was also a Sheriff's deputy who carried a handgun. In my case it was a patient who threatened to shoot me when I was walking out to my car from my clinic. He made the additional threat to burn down my house and kill my family. He proved that he knew where to find me by reciting my home address. Going to work under those conditions every day and treating other aggressive patients is stressful to say the least. But it is expected of psychiatric staff, in some cases even after they have been assaulted and the patient who initiated the assault is still in treatment. 1. The atmosphere - you can't really expect to reduce the potential for violence or aggression unless the environment is adequately managed. Psychiatrists used to talk about the milieu but that ship has apparently sailed. The largest professional organization of psychiatrists is silent on inpatient treatment and the treatment of aggression and violence. The American Psychiatric Association (APA) used to have guidelines on such matters, but nothing has been written in a long time. I don't know if that is just giving up to the widespread managed care blight or an open acknowledgement of the hopeless situation. The APA has been reduced to homilies about how increasing access may reduce violent events rather than speciality units set up to treat aggression and violence associated with severe psychiatric disorders. Inpatient units can literally be staff on one side of the plexiglass and the violent and aggressive patients on the other. I worked on a unit like that at one point. We were all shocked one day to learn that we really were not behind plexiglass when a steel chair came flying through a shattering tempered glass window. It sailed right over my head and I was standing up at the time. It must take quite a bit of force to throw a steel chair that distance through glass and to that height. Nursing staff dove for cover with the explosion of the glass. In addition to the staff it took two Sheriff's Deputies to resolve the situation. There are any number of reasons given for running units like this and none of them are good. It puts the patients and staff at risk by eliminating one of the most important aspects of psychiatric care - the interpersonal relationship between patients and staff. Without it a correctional atmosphere can develop that is more conducive to rioting than treating mental illness. That same floor had a history of firearm related events. There was the case of a patient who had a firearm smuggled in. He held the psychiatric resident hostage and ended up shooting a Sheriff's deputy at the control desk out in the hallway. When I worked there, I was surprised one morning to find a number of men on the unit in suits. I learned they were federal agents. I was more surprised to find out they were carrying machine guns. People armed with automatic weapons really do detract from the therapeutic atmosphere of a psychiatric unit. 2. Relationships - one of the most dangerous situations I have ever been in was ending up on the wrong side of the plexiglass at the wrong time. The wrong time was at a time I was being blamed for a staffing problem that I really had nothing to do with. Many people don't know how the attitudes that staff have toward one another can be played out in an intensified version by patients. I found myself surrounded by 4 young aggressive paranoid and antisocial patients who threatened to beat me up. After I talked my way out of that situation, my solution at the time was to transfer off that unit with the idea that I would not let that happen again and hopefully pass that knowledge along to other staff. Unfortunately that same pattern of behavior can occur if it is activated by someone outside of the treatment team. When that happens it is impossible to deal with in a constructive manner. 3. Systems issues - the lack of administrative support for any functional approach to aggression is often the biggest obstacle to solving the problem. This is not an issue in many places where the approach is to kick the can down the road. Many community hospitals don't accept violent or aggressive patients or even patients who are highly suicidal and may require 1:1 staffing. They are transferred to tertiary care centers where these problems tend to concentrate. In those tertiary care centers it is important to segregate patients based on their potential for aggression. I have heard all kinds of arguments against this procedure that do not hold water. I think people may be confused about the segregation issue. I am talking about separating men with a high potential for physical aggression from other inpatients who are generally more vulnerable than the average person. Trying to treat those populations on the same unit is a recipe for disaster. If the most aggressive mentally ill people in the state are being concentrated in a few hospitals, it is the only safe way to proceed with treatment. Even then, there needs to be considerable expertise on the part of the staff involved. 4. Serious administrative deficiencies - I have never seen a clinician with the knowledge required to address any of the above issues in an administrative position. In an a new twist, there are some hospitals where administrators with no experience at all are charged with running hospitals for patients with severe forms of mental illness and associated aggression. The commonest excuse for not addressing any of the concerns on this list is finances. There is not enough money to provide adequate staffing. In many cases there are now elaborate methods to decide on adequate staffing. At times the staffing differences between an all male unit housing patients with psychotic and personality disorders with aggressive behavior is not much different from a mood disorders unit where there is practically no aggressive behavior. Security on the units with a high potential for aggression often depends on other staff being available by cell phone or alarm. In some cases it is a 911 call to local law enforcement. I have had to ask that the 911 call be made when an entire male unit essentially rioted and it was no longer safe for the staff. 5. It is all about the nurses - A key lesson that nobody ever learned in medical school and few physicians seem to learn after is that the only reason anybody needs to be in the hospital is nursing care. Doctors can go in and out for 20-30 minute blocks and write orders, do procedures, and write prescriptions anywhere. The nurses are with the patients 24/7. It follows that one of the primary tasks as a physician is to assist the nurses. That ranges from taking care of medical and psychiatric problems in a timely manner to backing them up in highly contentious situations. Nurses are not there to make physicians miserable. Nurses have an incredibly hard job to do and they know it takes a team effort. There can't be any "personality conflicts". In the interest of the team they need to be set aside. Those are some of the thoughts I had about this party. Of course I thought about the person being honored and my direct and very positive professional experiences with her. And I looked around and hoped that everybody there could function as a team, take care of one another, and make it to retirement. They have nobody else looking out for them. "In case you thought this was my retirement party and thought you would enjoy reading about that and rejoicing - you can stop reading right here. I have not retired and this blog continues...."
But I thought it flowed better the current way. I wanted to address a common problem in treatment, especially any treatment that involves a medication and that is the issue of setting a goal for treatment and when to know when that goal has been reached. This seems like a very basic proposition that should be easy to do. The reality is that it is not and a lot of that comes down to the subjectivity associated with the human conscious experience. I am already on record here that I think subjectivity is a very good thing. I am glad that everyone in the world has a unique conscious experience. In many ways we communicate in broad brush strokes, but the reality is that all 7.2 billion of us have a unique conscious experience of basic phenomenon. From the consciousness literature one of the basic examples is the unique experience of the color red. My experience of the color red is not your experience of the color red. What happens when a person discusses their unique conscious experience with their friends and family? The first threshold is whether there is any interest in the discussion. People have varying levels of empathy, patience, and psychological mindedness and it is entirely possible that there are people who cannot have that conversation. The people who can have that conversation make common mistakes. The first is that they are some sort of diagnostician and can diagnose problems based on what they hear. This can happen even though most people do not want a diagnosis - just someone to listen to their problems. Over the years I have seen a lot of people who come in for an evaluation based on these conversations with friends and family. The identified patient is often in a quandary because they either disagree or are confused about the amateur diagnosis from their friends or family. Their presenting statement often is: "I am here because my spouse thinks I am depressed." Today the presenting complaints may seem more sophisticated: "My wife thinks I have adult ADHD because she saw a checklist on a doctor's show on TV and told me that I have all of the symptoms." Clearly the wife has an expectation that there is a problem, a treatment, and expected improvement over the current situation. 1. The chronic pain patient and opioid analgesics: The operative bias here is a very common one and that is: "If this doctor would raise the dose of this medication enough - my pain would be gone." The reality is that there really is no opioid dose that will do that and non-opioid medications offer the magnitude of pain relief. There is no known perfect degree of pain relief for chronic forms of pain. 2. The case outlined above of the adult with possible ADHD: Let's say that an evaluation confirms the diagnosis of ADHD - combined type and medical treatment is recommended. Whether the treatment is stimulant medication or atomoxetine, how the patient assesses the adequacy of treatment is critical. There is often a discussion about "expectations" of treatment in terms of the outcome. The patient in this case, may not have a good idea of their capabilities. The physician treating the patient has hopefully identified target symptoms that seem to be the most important or urgent that allows the patient to be followed. In both examples, there is a problem at the upper boundary of treatment. As the dose of medication is increased, will the symptomatic changes as assessed by the patient get to the point that they are satisfied with the result? In order for that to happen, the patient has to have a conscious and unconscious idea about what they want the result to be so they can compare what has actually happened to the idealized result. The idealized result often incorporates the wishes of friends and family. That is the extreme positive end of the Likert scale, depending on how the questions are phrased. A common example that I use in teaching is the 10 point pain scale where 10 usually indicates the worst possible pain. In every seminar that I give medical professionals I ask if anyone has said that their pain was a "14" on that ten point scale. Members of every seminar have gotten that response. "The goal is to get them functional and not to perfect their functioning." One of the many errors in the philosophical approach to modern psychopharmacology is the idea that we can tune up the human brain by adjusting various medications. The patients involved certainly expect this and some of the physicians involved go along. There is often an implicit goal that the patient will be restored to their "normal" or "baseline self" - whatever that is. Measurement based care seems to assume this when they suggest that the mood extremes of 7.2 billion unique conscious states can be characterized by a 21 or 27 point scale. A further assumption is that the numbers on this scale mean the same thing across the population, as though this scale is really a quantitative measure when it is not. Certainly there are very problematic symptoms that should require a best effort approach to get rid of by whatever means necessary. But there are many others that are resistant to treatment, transient or for which we have no clear treatment approaches. There are many symptoms that have meaning in the context of the persons life or their interpersonal relationships. In many cases, a symptom is not a symptom at all but a response to overwhelming stress or a problem with no obvious solution. In that scenario, a discussion of expectations from the outset, a discussion of what constitutes meaningful change for the person, and a discussion of possible non-medical approaches to the problem seems like the minimum for developing realistic ideas about outcome. I have always been skeptical of the value of the stigma concept in advocating for the rights of people with mental illness. It seems to imply that a person with a mental illness is obvious to everyone and nothing could be further from the truth. The usual advocacy groups certainly jumped on it and it was later picked up by professional organizations. My basic problem with the entire argument is that nobody should know that you have a mental health problem anymore than people should know that I have asthma. It is a problem of medical confidentiality rather than a problem with stigma. Anyone who thinks that is not the case just needs to consider what prospective employers think about hiring people with back pain, asthma, or any pre-existing condition that potentially impacts their group health insurance coverage. Any confidential medical condition is potentially stigmatizing and it certainly is nobody else's business. If people want to disclose that information that is certainly up to them and as I have posted here in many cases it can be a useful public service. And I do realize that health insurance companies force you to disclose pre-existing conditions using various methods but that does not mean that your employer should know. The other problem is that there has been broad and systematic discrimination against people with mental illness and addictions at all levels of government and the business community. These are the people who have access to protected medical information and make decisions about health care based on it. That discrimination occurs with full knowledge of a diagnosis and often a recommended treatment plan. Multiple posts here document that problem and yet nobody comes right out and attacks that issue. If anything social activism with a stigma focus seems to cast a wide discrimination net rather than focusing on the few people and agencies that can make a critical difference. It suggests that the general public is the problem and that educating the general public will solve the problem. "As this revolution gathers force, we need to be mindful that biogenetic explanations for mental health problems can have troubling implications for the people who suffer them." I think it should be obvious that there will be "troubling implications" for anyone who is ignorant on either end of a "biogenetic explanation". Further, it is really impossible to separate allegedly biogenetic explanations from decades of conditioning by governments, businesses, and the media. Troubling implications start when you realize that your employer's health plan does not have coverage for mental illnesses or addictions and you have a family member that needs that insurance. What are the take home points about stigma in all of this? 1. Businesses that discriminate against mental illness by rationing current services and destroying any infrastructure necessary to treat mental health are stigmatizing. The message is clearly that they can't be bothered to treat these problems seriously by offering much of anything beyond a crisis stay in a hospital and a 10-20 minute "med check" by a "provider or prescriber" in an outpatient clinic every 3 - 6 months. No research proven modalities to treat mental illness and a severe push to send people with addictions and serious mental illnesses to county detox, jail, or the street. But even the businesses not involved can get into the act. Practically every local market has a business some who is offering "crazy deals." If you doubt it, Google "crazy deals" or the equivalent "insane deals" and see what you come up with. Don't forget to look at some of the images. 2. Governments that ration and destroy the mental health infrastructure and collude with rationing by businesses are stigmatizing. Examples include empowering insurance companies to decide how they can deconstruct the billing and services of mental health providers and clinics to their advantage (the arbitrary insurance company audit), empowering business to discount services, legitimizing utilization review and prior authorization (tools for arbitrary denials), and allowing for proprietary business guidelines to dictate who can receive treatment and who can not. What could be more stigmatizing than to have a business suggest that a person is not "dangerous" enough to be treated and use that as a basis for medical decision making? Why aren't there any rules about admitting only the "dangerous" myocardial infarctions and sending everybody else home? 3. Court systems that treat the mentally ill like they are criminals are stigmatizing. This includes practically all court systems because as any forensic psychiatrist will tell you, despite the myths about the so-called insanity defense - it is practically impossible for anyone to get off with that defense. There are significant numbers of people who are incarcerated for minor nonviolent crimes that were the product of mental illness. Ask yourself if it is more stigmatizing to have a confidential diagnosis of a mental illness or be listed in the paper as being incarcerated or having been convicted of a crime? 4. The press has a very poor track record in the area of stigma. It is well known that the press covers psychiatry more than other medical specialties and has a consistently negative view about the specialty. How would you feel if you had an illness that resulted in you being seen by a physician whose specialty is consistently portrayed negatively in the media. For the past two years the press has produced nonstop political arguments about a diagnostic manual that is practically little more than a guidebook for billing codes with many of the esoteric codes only of interest to researchers. One of the main arguments in those articles was that the diagnostic manual led to arbitrary diagnosis and treatment for the benefit of the pharmaceutical industry. For anyone with a serious mental illness, could there be a more stigmatizing argument? 5. The entertainment industry never hesitates to make a buck off of mental illness. The film Halloween is classic example of equating mental illness with an evil so unstoppable that the psychiatrist involved has to pack a .44 magnum. That same message has been carried forward in recent television shows. Some of the efforts in this area are so bad that it takes an incredible bias to justify the product as entertainment. These are all much better examples than suggesting that science somehow stigmatizes people. The associated problem is the misunderstanding of science. We all understand that the media needs to sell stories and the truth about science is that it is a process and not the ultimate truth. Every story about new fads based on an experimental finding that will never be replicated in the absence of a discussion of scientific method is corrosive to the public's confidence in science. In this case using "chemical imbalance" as a scientific theory is about as ill informed as anyone could be about the neurobiology of mental illness or normal brain functioning. At that level this story is more about press induced stigma than anything that neuroscience or neurobiology has to say. The lesson for today is that the brain is not a sack full of neurotransmitters that is balanced or unbalanced. If you believe that, you can either stay ignorant about the problem and talk about "chemical imbalance" as though it means something, educate yourself about neuroscience (there are many free sites on the Internet) or you can join any number of psychiatry bashing web sites that claim that psychiatrists believe there is a chemical imbalance. Your first neuroscience assignment is to read about Eric Kandel and why he got the Nobel Prize. And where does conflict of interest enter into the stigma equation? In other words who benefits from mental health stigma as an operative social concept? Advocacy organizations certainly do. In many cases is it their raison d'être. Interestingly concern over stigma has prevented some advocacy organizations from dealing effectively with the issue of people with mental illness who are violent. They considered violence and aggression to be stigmatizing rather than a fact of some mental illnesses. Professional organizations like the American Psychiatric Association benefit in that it enhances their credibility with the advocacy organizations but any counterattacks on the forces that ration and deny mental health services have been weak and ineffectual. Those rationing entities including politicians, government agencies, pharmacy benefit managers and managed care companies benefit tremendously. After all they have added hundreds of billions of dollars to their bottom lines by basically denying or rationing treatment and in many cases denying that there is any problem at all. Stigma rhetoric makes it seem like this is a problem inherent in our society with no better solution than an enlightened public. We will not be able to solve it until enough people are enlightened while the rationing schemes continue. At that level you could say that stigma is a concept that can be spun for everyone, but let's agree that science has nothing to do with it. There are societal wide biases (business, government, legal, entertainment, etc) that stigmatize the mentally ill. Some aspects of that process involve the distortion of science (e.g. "chemical imbalance theory"). a) They are from a culture that stigmatizes people with significant mental illness. They know how the various players would react if they found out that a person has a significant mental illness. Mental illness by itself does not produce a stigma. People are stigmatized by other people with biases and clear agendas. b) They really don't know what the scientific implications are because they have been hearing about false theories or reading overt propaganda or they don't know enough about the process or implications of science. "Good News - Your Care Today Was Free"
"The bad news - we don't know how to make this diagnosis". 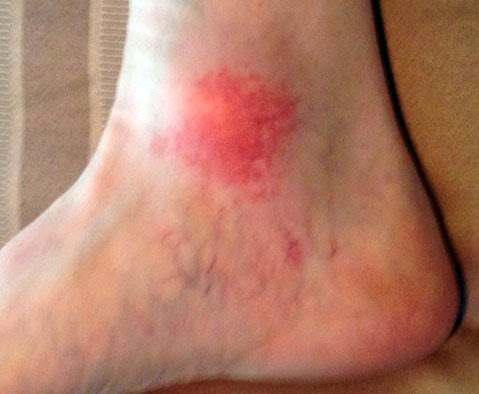 I woke up on Monday morning with a 2 inch diameter bright red rash on the inside of my right ankle. It was mildly pruritic (itchy). I could not recall any exposure to insects or trauma of any kind and it did not appear to be infected, so I applied some topical corticosteroid cream and went to work. That night at home the rash seemed very mildly improved but it still itched. I decided to get some medical input at that point. The usual choices in my area are the Emergency Department or Urgent Care, but recently my health plan started to offer online consultation through a combination of limited diagnoses and procedures, an algorithmic set of questions, the ability to upload images, and consultation with a nurse practitioner. I looked at the list of conditions they were set up to diagnose and treat, noted that "rash" was one of them and logged on. Health care IT is still in its infancy so nobody should be surprised that it took me much longer than expected to log in to the appropriate interface. At first the program suggested I could just use my existing login and that would also integrate previous test results and conditions into the current evaluation. After needing to call them I established a separate login and password for this episode. Rather than the expected details up front, the program started to ask me all of the usual questions about the rash. There were 28 screens in all, including some that forced an answer. That question was "What do you think is causing the rash?". Possible answers were: insect bite, infection, allergy exposure, poison ivy, etc. There was nothing on that list that seemed likely. That was after all the reason I was calling in. I could not proceed past that point without giving an answer so I clicked "insect bite". After completing 28 screens there was a text field and I entered: "Even though I answered "insect bite" on question #8, I only did that because I could not proceed if I did not provide an answer." Next came the expected demographic data. I live in a town that the U.S. Postal Service never gets right. If I list a Zip Code the wrong town name pops up. This software was no exception. It took me extra time to enter and reenter data that was already there somewhere in my healthcare company's database. The final screen was the billing and financial data including credit card information. More data that my healthcare company has know for the last five years. At this point I am about 20 minutes into the process and it is time to upload the photos. I had 4 photos of the ankle and the program accepted 3 of them. Sign off occurred at the 25-30 minutes mark. As I waited for the return e-mail or call, I marvelled at how health care companies have transferred all of this clerical work to physicians over the last 20 years and now they are transferring it to the patient. I just did the work of the intake person and financial person in any clinic or hospital. Thanks again for taking the time to talk with us on the phone. Your health and safety is our top priority. Based on the information you shared with us, we think that an in-person visit is the best way to handle this specific condition. And, please know that you will not be charged for your visit today. We're sorry we couldn't help you this time, but please keep us in mind the next time you're feeling ill. Thanks for choosing us. Good to know I guess, but no diagnosis or specific treatment plan. I continued the corticosteroid and the next night after work I stopped into an urgent care clinic after work. I saw a family medicine physician who inspected and palpated the rash, took my pulses and determined that they were good in the area, and asked me clusters of questions that were clearly designed to rule in/out various pathological processes. His conclusion: "Well it's not an infection and its not due to trauma, but it clearly is an inflammatory process like atopic dermatitis. So at this point I would keep applying the corticosteroid." He asked me for questions. My mind was preoccupied with tales of devastating spider bites lately so I blurted out: "This does not in any way look like a brown recluse spider bite does it?" He laughed and said: "Absolutely not." So what have I learned from all of this and how do those lessons apply to psychiatry? First off, it appears that human diagnosticians are safe for now. Keep in mind that the system is set up to diagnose and treat a restricted list of conditions that are considered to be the least complicated in medicine. Second, the human diagnostician's superior capabilities depend on pattern matching and that in turn depends on experience. It reminded me of a course I taught for 15 years on how to avoid diagnostic errors and pattern matching was a big part of that. The two examples were rashes and diabetic retinopathy. Dermatologists were much faster and much more accurate in classifying rashes from pictures than family physicians. Ophthalmologists are much more accurate using indirect ophthalmoscopy than family physicians using direct ophthalmoscopy in diagnosing diabetic proliferative retinopathy. In fact, the family physicians were slightly better than chance. The lessons for psychiatry are two fold. Remember the idea of a restricted list of conditions that are not considered complex? It turns out that depression and anxiety are on that list. Even though there is no call center where you can call and complete the paperwork like I did, it would probably not be much of a stretch to say that many if not most primary care clinic diagnoses of depression and anxiety are keyed to some rating scale. Like the studies of Dermatologists and Ophthalmologists, there are no expert pattern matchers looking at the patient. That can result in a diagnosis that is essentially dialed in. "Thoughts that you would be better off dead or of hurting yourself in some way." Suddenly people are alarmed with the person with a personality disorder and chronic suicidal thinking or chronic obsessions involving suicidal thinking endorses "nearly every day" as their response. We are falsely reassured when the patient who has a significant personality change and depression endorses "not at all". We have forced them to make a choice and they have, rather than using all of the information necessary to make an evaluation. As a discipline - we should be moving in the direction of using all of the relevant information in clinical situations and not less. My rash today is an example of what can happen in an organ governed by much less genetic, metabolic and signalling information than the human brain. Even in that situation a diagnosis with no clear etiology or diagnostic features can present itself. Forcing choices reduces the information flow rather than facilitating it. If primary care physicians find this checklist approach to diagnosing anxiety and depression useful I would see no problem with that, but it might be useful to look at the medications being used based on the PHQ-9 and the kind of impact this approach is having on medication utilization. It also might be useful to have a seminar or two on the problem of over prescribing medications. The correlation between overprescribing opioids and the use of a "quantitative" scale to measure everyone's pain is undeniable. The question that applies in all of these circumstances is whether a number on a subjective rating scale is ever enough of a reason to prescribe a medication. You already know what I have to say about that. "Your challenges are our challenges. At Alkermes, we're inspired by the challenges that psychiatrists face every day. We share your dedication to patients living with schizophrenia, depression or addiction. So when we develop new treatments, we begin with a compassionate understanding of your real world needs. We stand ready to improve the health of your patients." I am sure that most psychiatrists can see this for what it is - advertising and would have suggested that Alkermes take a less melodramatic approach. Alkermes is relatively new to CNS pharmaceuticals but it has drugs in the pipeline for both schizophrenia and depression. Many addiction psychiatrists are used to seeing their version of long acting naltrexone called Vivitrol. I have never seen a sales representative from the company. Pharmaceutical company reps have taken a hit with the new anti-Pharma religion and they are banned from most clinics, hospitals, and academic settings in my area. The rap against them has been that they were essentially influencing physicians to prescribe their products by financial incentives in the form of gifts or in many cases personal relationships, or a combination of both. A secondary issue was that some of the Pharma associated educational activities were more or less well disguised advertising in a number of forms. This new approach by Alkermes taps into an area with psychiatrists that I have not previously seen as an area of focus. It is basically saying to the most beleaguered physicians: "We understand what you are up against and we are on your side." Although it seems like a clumsy first attempt, the message is powerful. If you are a senior psychiatrist and have practiced as long as I have - you realize that apart from any good colleagues that you might have from time to time - there is nobody on your side. Many psychiatrists are professionally isolated and may see their colleagues at an annual meeting. Others in larger organizations are mismanaged to the point where their colleagues are seen as competition rather than resources. There is nobody on your side professionally or in your attempts to treat your patients. In fact as I have illustrated here, there are many people in your way when you try to provide care to patients. They are incentivized to get you to ration care and in many cases that comes down to providing no care. The Alkermes approach captures at least a part of the unconscious reason for affiliating oneself with a friendly entity. My guess is whoever is behind it does have an understanding of what is going on with physicians and psychiatrists in particular. A pharmaceutical company ad will never make it explicit, but there is also an asymmetry in the relationship they are discussing. Bundling the cost into a pharmaceutical product is a much more effective way to get reimbursed than bundling cost in the form of a psychiatrist. Even though they appear to feel our pain - they don't really have to. Aripiprazole lauroxil: patent app 13/607,066 covers methods of treating schizophrenia, mania, bipolar disorder, anxiety or depression by administering a broad class of compounds including aripiprazole lauroxil. ALKS 5461: patent app 13/715,198 covers composition of matter. ALKS 3831: patent app 13/215,718 covers the attenuation of weight gain associated with olanzapine in patients with schizophrenia by administering the combination of samidorphan (formerly ALKS 33) and olanzapine. ALKS 7106: patent app 14/169,305 covers composition of matter. For full details read the press release from the Alkermes web site. 2. More people are getting more treatment, but outcomes are not getting better. 3. The current knowledge base is insufficient to ensure prevention, recovery, or cure for too many people with serious mental illness. 4. A transformation of diagnostics and therapeutics is necessary to make significant progress in treating mental illness. The field has failed to “bend the curve” in the prevalence and quality of care of mental illness. The second issue is a brief lapse into rhetoric of vagueness. Who is "the field" here? Are we referring to psychiatry, other mental health professionals, primary care physicians who do 80% of the psychopharmacology, or the managed care systems and systems with the same techniques that rigorously ration mental health care? The meaning of the sentence changes dramatically by substituting each of those words. To the second point on more treatment not leading to better outcomes it is fairly easy to show why this is the logical outcome of rationing. I have posted many times about how inpatient psychiatry has become sham treatment based on dangerousness criteria and corporate priorities. You don't need any research to show that if you are cycling people with serious mental illnesses in and out of short stay psychiatric units in 3 - 5 days and basing their stay there on whether or not they are "dangerous" and using treatments that take weeks to work that by definition you are appearing to treat many more patients but providing adequate treatment to very few. You don't need any research to show that when you shift mental health care from psychiatric units run by psychiatrists to county jails that the outcomes will be worse. You don't need any research to show that when people do not get research based psychotherapies in the manner that they were designed and instead get a few crisis oriented sessions that do not address their basic problems that outcomes cannot hope to be better. When your attitude is that all mental health treatment can proceed by treating common problems with definite social etiologies with medications as fast as possible and not having an intelligent conversation or working alliance with the person affected - it is logical that treatment outcomes will not improve. Treatment outcomes do not improve if you do not provide effective treatment and that is the mental health landscape at this time. The current knowledge base is not used to ensure prevention, recovery, or cure for too many people with serious mental illness. I am not by any means suggesting that it cannot be improved upon. There is no place in medicine where that is not the case. When services are globally rationed and we are still beating the drum about "cost-effectiveness" we cannot expect inmates to have access to DBT or GPM to treat their borderline personality disorder. We cannot expect them to get exposure therapy to treat PTSD from psychological trauma. We can also not expect managed care patients to get this from 2 or 3 sessions of crisis counseling when they need a more specific research based psychotherapy. The fourth statement is the only one that I have no issue with. It is a statement that is generally true for most chronic illnesses. I have many posts here about asthma for example. Asthma is an illness that many primary care physicians believe that they really have made inroads in treating. It is a great comparison for mental illness and even chronic mental illness because the fact is that most asthmatics are chronically symptomatic despite treatment. The reason is a combination of a biologically complex disease, partially understood disease mechanisms, and a medical treatment model that involves seeing the patient every 3-6 months and prescribing them medications that are often partially effective at best. There is really minimal medical intervention beyond that except for acute hospitalizations. That is the exact level of care that we provide for mental illness in this country. A lot of people fault Dr. Insel for being an advocate of neuroscience. I may be one of the few who does not. As a student of the brain and brain plasticity things are incredibly complex. As politics get projected onto that complex system - science is often left in the lurch. People see the results of a complex situation simplified as a meta-analysis and see the results as supporting both ends of a political argument. I would go back to the asthma example. The signaling in that disease is much less complex than signaling in the brain and there are far fewer cell types involved. Asthma endophenotypes followed the elaboration of endophenotypes in schizophrenia and so far nether has resulted in clinical innovation. I would argue that the treatment outcomes in most mental illnesses are on par or better than the treatment of asthma. And yet there is no national research administrator of Dr. Insel's stature talking about the lack of progress. I think the reason is clear - there are not nearly as many political arguments projected onto asthmatics. If I fault Dr. Insel for anything it is for not knowing what has happened to the mental health system of care in the USA. It is not due to a lack of technology, but an obstruction of current technology transfer. He is not alone in routinely ignoring this as the central problem with psychiatric services today. Any number of people do and in the process usually promote their own theories of why we are mired in the current environement. Ration mental health and addiction treatment, ignore current research proven treatments, and reduce treatment to the prescription of medications and poor outcomes will follow. I posted my opinion on burnout interventions for physicians on another blog. That opinion was that mental health interventions to address the product of a toxic work environment that is increasingly toxic seems futile to me. The author agreed with me, but stated that her program was designed to help residents survive their residencies and nothing more than that. She pointed out and I agree that residents can't change the structure of their work environment and they can't quit. That is one advantage that more senior physicians have - they can do both. The additional rhetoric on the thread suggested that there was no definition of a toxic work environment. Based on what I have posted here, I thought it would be fairly easy to pull together a few elements of that definition. 1. Sleep deprivation: The adverse effects of sleep deprivation on cognition and emotional health are well documented. The expectation that physicians will be sleep deprived is a well known tradition. While there have been some improvements with restrictions in residency training on the number of hours of continuous work, current practices have in many ways led to a worsening of this problem. The hospitalist movement had led to the 7 days on and 7 days off schedule that creates fatigue and decreased work performance toward the end of that stretch. I have interviewed hospitalists about their experience and they have told me that their work slows down, largely due to cognitive inefficiency the last two days. That slowing adds an additional 2-3 hours of added time to complete all of the work. It seems like a questionable practice to extend working hours to the point of cognitive inefficiency and fatigue for the sake of the administrative simplicity of not having to schedule cross coverage for weekends. Outpatient physicians are no less immune when they are expected to sit in their clinics long after hours to complete what are essentially administrative tasks. Many of these administrative tasks are unnecessary from a medical standpoint. In both cases the electronic health record (EHR) places a large burden on physicians everywhere and access to it from home can create a 24/7 work environment. 2. Excessive workload: The invention of RVUs has given administrators unprecedented leverage in establishing a high volume, low quality production line of physician services. Markedly different quality of service can be provided by different physicians submitting the same billing code, but there is an unquestionable race to the bottom from the administrative side. There is no better example than the annual review conversation where physicians are told where they are on the global productivity scheme and one of two things happen. They are told that they should target a higher decile (or two) next year or they are simply given an RVU expectation that they need to meet in order to "justify" their salary. In some cases there is just an arbitrary expectation of a percentage increase in RVUs with no theoretical upper limit. 3. Changing work load: There has been no accounting for the fact that physicians have taken over more and more work tasks in the past thirty years that were previously done by other people. Transcriptionists and billing personnel have been replaced by the hundreds of thousands. The burden for generating detailed medical documents and accurate billings falls directly onto physicians and it is a heavy price. After seeing all of the patients in a day, physicians generally settle down to do all of this documentation with the associated phone calls and billing. The expectation that physicians need to know about matching their documentation to a purely subjective billing and coding scheme that can change from year to year within an organization is a reminder of the absurd administrative burden paid by all physicians. 4. Uncertainty: Medicine is a demanding field that is mapped onto significant biological variability that increases with the age of the patient. Coping with that uncertainty is one of the baseline tasks of physicians. The best way to cope with it is to stay current with the best diagnostic and treatment practices of the speciality being practiced. Business and government intrusions into this field based strictly on cost and regulatory changes introduce much more uncertainty. These intrusions take the form of case managers or external reviewers demanding that ill people be discharged from hospitals based on an arbitrary length of stay figure, those same reviewers denying a recommended therapy by the physician who has seen and is personally responsible to the patient, denied medications based on expense or contracting, or treatment based on guidelines promulgated by business organizations rather than medical or professional organizations. There is also a broad movement to train physicians as basically customer service representatives through the use of very basic interpersonal techniques. Many organizations use "customer" feedback as another piece of the algorithm that determines compensation. The important physician task of telling patient what they might not want to hear is not "incentivized". The other relevant dimension here is that the staff who are ordering the physicians around are frequently not physicians and have no real responsibility to the patient. They are frequently working from proprietary guidelines devised by people who are also not physicians and have no direct responsibility to the patient. 5. The expectation of free work: There is no better example of free work than looking at all of the employees in health care organizations that physicians have replaced, but it doesn't stop there. Teaching medical students and residents is another good example. Lectures and lecture preparation is not only not reimbursed but there is usually the expectation that the same number of patients needs to be seen that day or made up at some point during the week. The teaching tasks are typically unsupported and lecturers and teachers are responsible for the lecture content and even getting the necessary copyright permissions. Before managed care, medical education was more of an integral part of the work and physicians typically got credit for it and department support. The current work environment emphasizes RVU productivity as the sole measure of reimbursement. This has become problematic in academic environments that are supposed to emphasize teaching. In many cases those academic goals have become secondary to so-called productivity. Managed care has added an immense amount of additional free work for physicians. It comes in the form of all of the additional work due to utilization review, medication prior authorizations, and a blizzard of additional paperwork. In the case of medication prior authorizations it takes a minimum of 35 minutes a day and additional staff to do all of the paperwork, but I am sure that most physicians have spent that kind of time on a single case. The initial impetus for these measures was supposed to be cost effectiveness, but it should be apparent at this point that making money for managed care companies is the real priority and physicians are forced into the role of rubber stamping these measures. That rubber stamping comes at a significant time cost. Aggressively holding physicians to a productivity standard, while wasting significant amounts of their time is probably the single most toxic factor in what is already a toxic environment. 5. Overt abuse: With the unprecedented leverage that business administrators have over physicians and the proliferation of administrators there have also been additional strategies developed to get rid of physicians who are dissenters or don't fit with corporate expectations. A familiar one is the disruptive physician concept and its many forms. The corporate interest is in taking any complaint about a physician whether it is substantiated or not and using it to manipulate that physician. There are many possible sources. The 360 evaluation solicits complaints from all of the coworkers in the environment where the physician works. Making those complaints anonymous will predictably results in more significant and negative complaints. These may be reviewed in an annual review and used for compensation purposes or disciplinary action. There are variations within organizations like a "three strikes and you're out" rule. In all of these procedures the physicians involved have no recourse other than filing a lawsuit or defamation suit. These procedures become tools that can be used by any administrator against any physician who is viewed as a dissenter to the latest and greatest idea by that administrator. I have seen physicians subjected to firing and onerous rehabilitation schemes like meeting with an administrator and the supposedly aggrieved employee to help them get along on an ongoing basis. Those exercises in manipulation are superimposed on the physician who is already trying to keep his or her head above water in the sleep deprived assembly line environment. 6. The not so covert war against the medical profession: Let's face it - business administrators would obviously love physicians to act the way they treat them - like production workers rather than knowledge workers. They would really like to replace physicians with less expensive providers or prescribers and will eventually make the argument that a corporate structure with various computerized whistles and bells will be superior to trained medical staff. The only reason there is any tension at all at this point is that some physicians have skills learned in medical school and residency that have been codified to a certain degree in the legal and regulatory landscape. The only reason that behavior inconsistent with corporate behavior is tolerated is that a particular physician probably has skills that nobody else does. That does not prevent administrators from threatening entire blocks of physicians with either disenfranchisement or firing. The disenfranchisement can occur along the spectrum of decreased reimbursement, additional work expectations without additional resources, or both. Additional sorties include campaign to teach physicians basic interpersonal skills learned many times in medical school and residency. Bringing in consultants to tell physicians how to perform their work in a manner more consistent with what administrators want and ignoring the often considerable internal expertise in the department is another familiar strategy. The legislative front has been exploited to the maximum already with business tactics like utilization review and prior authorization included in many state statutes. The resulting business friendly legal and regulatory environment leaves very little room for criticism by physicians or their patients. These are a few of the examples of a toxic work environment for physicians. I realize that many are not unique and that other assembly line workers may be subjected to the same abuses. The problem of course is that physicians are not trained to work on an assembly line. They are trained to be scientifically inquisitive and intellectually active. That dimension alone requires many hours apart from work. In addition to family life that intellectual aspect of being a physician suffers the most from the currently toxic work environment.